Our support staff is listed for your convenience. 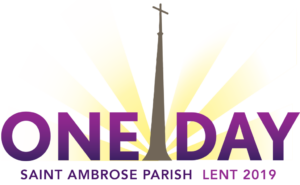 As you know, Saint Ambrose is continually striving to meet our parishioners diverse and ever changing needs. In order to facilitate a quick result, the support staff is listed on the Parish Staff page. Please use this list so that we can collaborate with you on future projects and help our parish to continue the work of Jesus and be Alive in Christ.